Arguably, Mew work best in a live setting, where their homemade film projections create a magical gig-going experience. The downside is that the band’s albums alone never quite do them justice. 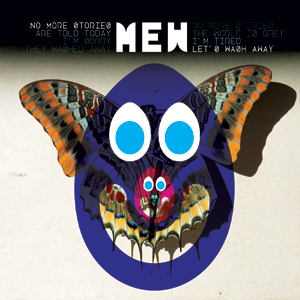 ‘No More Stories’ is a captivating record by a trio who, more than ever before, have juxtaposed memorable melodies with disjointed, left-field techniques. As a result, it feels less accessible than previous efforts, but that’s no bad thing. Mew have never been about instant gratification; they want to take you on a journey. Skewed, angular pop; shimmering lullabies; hushed romance; bold, clashing noise – you’ll visit it all, and you’ll definitely leave with a smile.